This sitemap link provides access to all the pages on my site. Most searches for subjects covered in Don's Maps can be accomplished by searching on this page for the subject you are after, using your browser's search bar. Archaeological / Archeological Sites - Some sites of interest in the study of the Palaeolithic / Paleolithic era. Venus figures from the Stone Age - The Venus of Willendorf as well as those from or known as: Dolni Vestonice, Galgenberg, Kostenki, Brassempouy, Impudique, Lespugue, Abri Pataud, Monpazier, Tursac, Die Lowenfrau, Savignano, Femme a la Corne, Berekhat Ram, Gagarino and others. Cave paintings, engravings and sculptures. Animals, Plants, People and Geology Ice Age Animals, The bear and cavebear in fact, myth and legend, Australian Aboriginal trade routes and fish traps, The Tungus - reindeer herders of the Siberian far north, The Sacred Root, Golden Thread, Frozen Mammoth discovery, Geology for Earth Children fans. Tools and Decorative Objects of the Stone Age - Tools and other items used in the Stone age, including spear straighteners, firestones, adzes, beads, and needle cases, as well as the physics of a spear thrower and how stone tools are made. There are a lot of things to learn about photography in museums, the problems are like no other area of photography. Here I try to explain the basics, and the pitfalls involved, and give an indication of what I think is an ideal camera for the situation. I often need to clean up line drawings of artefacts and sketches - the originals are typically from pdf files, and of poor quality. This method using Photoshop allows me to make much better images than the originals, especially when combined with first making the drawings a lot larger. Archeology for Jean Auel fans - the sites and sculptures and places mentioned in Jean Auel's series on life in the ice age. Maps of the Earth's Children Series - Maps include the true extent of the ice in the last ice age, as well as maps of The Territory of the Zelandonii, Journeys in Clan of the Cave Bear, local area around the cave in Clan of the Cave Bear, The Valley of Horses, Iron Gates map, local map of the Sharamudoi, local map of The Mammoth Hunters Lion Camp, map of The Ukraine, map of The Plains of Passage, Clickable map of the Plains of Passage, Donau Mouth to First Snow from the Plains of Passage, The Encounter with the S'Armunai, Wurm and Riss Glaciation in the headwaters of the Donau (Danube), How I draw the maps. The best frost hardy and drought hardy native plants for Australian gardens including Correas, Grevilleas, Bottlebrush, Banksias, Melaleucas, Mintbushes, ​Tea-trees, Eremophilas, Hakeas, Boronias, and lots more. Experts in Waratahs and Flannel Flowers. Licenced to sell Rare and Endangered Flora. In 1865, Charles William Hitchcock and his wife Emma (nee Fuller) came out to Australia in the ship 'Royal Dane'. William Henry, my grandfather, was born on the ship on the 24th July 1865 while the ship was anchored in Keppel Bay. This is the index page for a number of family photographs and some of the early family history. A bicycle trip down the Danube from the source of the Danube to Budapest. Per's Plains of Passage trip from the Donau mouth to its source at Donaueschingen by motorcycle in 1998. Most photos on the clickable map of the Plains of Passage are by courtesy of Per. Dinosaurs and other ancient animals. Dinosaurs, or Terrible Lizards, were the dominant terrestrial vertebrates for over 160 million years. Building good looking stone walls, using concrete foundations, mortar, and formwork, a method even beginners can tackle sucessfully. Bushwalking - This is an overview of a wonderful part of the world - the gorge country east of Armidale in northern NSW Australia, in which I spend as much time as I can exploring and walking. Cycling - Cycling for 500 to 700 km over one or two weeks on fully supported rides is a great way to see Australia. An evening with Jean Auel - Various interviews with Jean Auel, talks by her, memories of talks by Jean, inconsistencies in the EC books. The Armidale Garden Club provides a meeting place for newcomers and experienced gardeners who will happily share their knowledge. They arrange for guest speakers who offer talks on a wide variety of garden-related topics. At each meeting there is a question and answer spot where advice can be sought on problems you are experiencing in your garden. They also have a trading table each month where members bring plants from their gardens for sale. 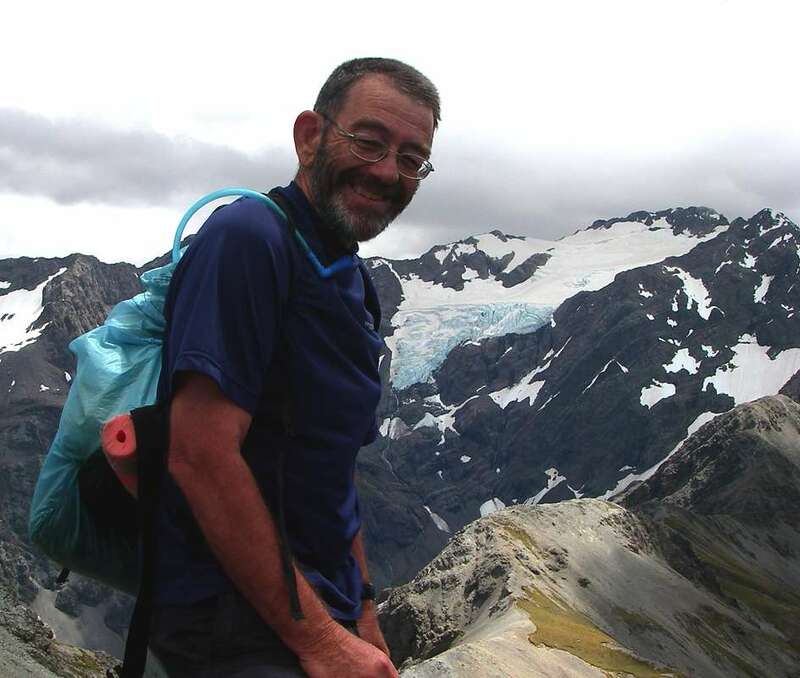 The webmaster on top of Avalanche Peak on a nine week tramping tour of the South Island of New Zealand. Earth's Children is a registered trademark of Jean M. Auel. The Mammoth Hunters, The Plains of Passage, The Shelters of Stone, and The Land of Painted Caves are all copyrighted by Jean M. Auel.